Homespun Stitchworks..... For the love of vintage: Early morning stolen stitches! 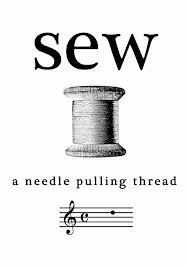 with a needle and thread! I was up with the larks this morning with lots to do but I made the mistake of taking my early morning coffee into my sewing room and that was it! I picked up some stitching and started and could not stop. It is a busy weekend this week because we have a wedding to go to tomorrow, more about that on tomorrows blog. Then we have somewhere to be on Sunday too so no stitching all weekend for me, which will be strange and by Monday morning I will have withdraw symptoms of the highest degree! I am going to grab a work basket, as I have three projects on the go, and sit with that and focus on a piece of work today and hopefully get one finished and ready for the framers ..
with vintage line in it, tight as a drum .. this is my test hoop. If I have an idea I test it on this first so as if it is not right or does not work .. there is no unpicking on my actual work. This helps enormously when I am making things up.. thus the test tiny corn flowers, which I have to say are looking really very good, even though I say it myself!! Well that is it for today as it is a short one for me because of tomorrow. Lots to do and prepare. This is my new art work for my business .. what do you think? No you cannot take stitching to a wedding - not a done thing! I was like that yesterday should have doe something else but sewed instead! Head down in shame! ok ok ... I know you are all correct but I do think it is time management.. I am not the one that has to answer questions ... or answer, like I DO ... So I could just sit quietly!!! Sewing is medicine for the soul and not wasted time Julie ... so yesterday was a good day. But no I will not ... Hope you have a great weekend. I will show you next week will photograph a teeny cornflower that I have devised ..